Update your profile information and your photo. 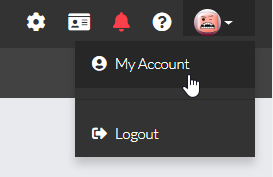 You will be asked to create your profile when you register, but you are able to update it at any time. Profile information, such as your first name, the profile image you provide, and your bio, will be visible to everyone in your class AND in every community that you are a member. 4. Be sure to click "Save."